Derek Ramsay talks about balancing his love for acting and different sports. As one of the few celebrities in local showbiz that can prioritize both their showbiz careers and sports, Derek Ramsay admitted it is going to be a challenge to prioritize sports this year. “It’s always going to be with great difficulty. I’ve said many times I’m going to retire but it never seems to happen. I’m always coming back to it. I’ve got a couple of tournaments lined up in and out of the country for both golf and frisbee. I’m going to try and lay low more in frisbee. But I’ve really taken a passion to golf. In any sport you need to train, and if you want to excel you need to train,” he shared. Now that he is co-endorsers with Piolo Pascual and Dingdong Dantes with an international brand, Derek said their camaraderie came naturally. “Actually kami yung cause of delay sa commercial shoot kasi we had so many stories to exchange. We shared all our stories and we were the cause of delay sometimes because we were talking. We’ve got more campaigns lined up. Definitely you’ll see the three of us together or the two of them, two of us, a mixture of everything throughout the entire year,” he said. Derek said he has much respect for Piolo who does marathons. 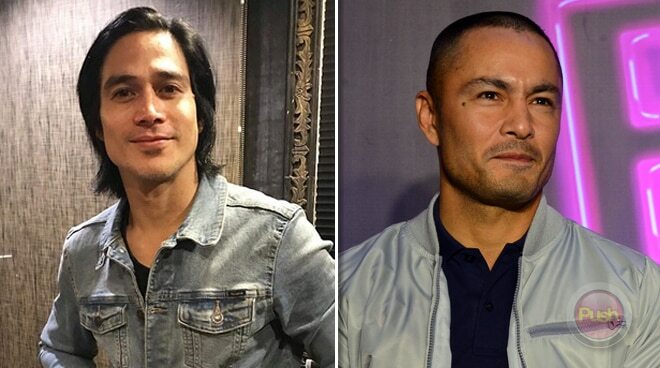 “Unlike the sport of Piolo that requires a lot of training so it’s probably going to be more difficult for him. In his sport, if you want to beat your own time. It’s about how much training you put in, how much discipline you put in your nutrition. I really admire what they do. It’s a difficult sport especially mentally. But in frisbee you can play your role or in basketball you can play your role. Golf is also a mental sport. To balance it with the things that we do, our craft, our passion, it’s really, really difficult,” he explained. The Ultimate Frisbee national team player said he has made a lot of sacrifices for his main sport. “There was one time I shot a commercial, shot in the morning, went and played Manila Spirits (international frisbee tournament) and went back in the evening to shoot the commercial. We finished at two or three in the morning and then I was on the fields playing at seven in the morning until the sun goes down. Bugbog talaga yung katawan ko,” he recalled. Even when he is not doing sports, Derek said he still tries to squeeze in a workout. “That’s discipline. I still have my 15 minute routine the first thing I do when I wake up in the morning. 15 minutes walang tigil, walang pahinga, that’s it. Tapos na ako the rest of the day to maintain my body and keep myself in shape,” he added.